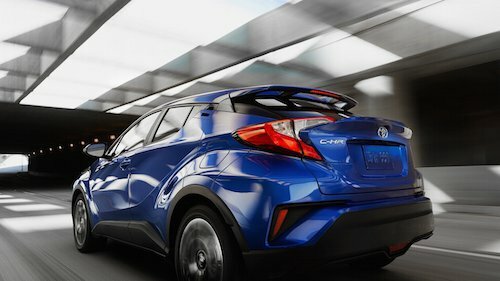 Meet the all-new Toyota C-HR near Sanford, Maine. It is powered by a 2.0-liter four-cylinder engine capable of 144 horsepower and 140 pound-feet of torque. The engine utilizes Toyota’s latest generation of technologies including Variable Valve Timing (VVT) and Valvematic for eMEanced fuel economy and smooth operation. Our Toyota finance center is happy to explain your options for buying or leasing a new Toyota C-HR and can help you take advantage of current factory incentives or special offers. We invite you to explore all that this new model has to offer and take a test drive at our Toyota Dealership near Sanford, ME.